Terralina Crafted Italian has taken the place of Portobello Country Italian Trattoria in The Landing of Disney Springs. 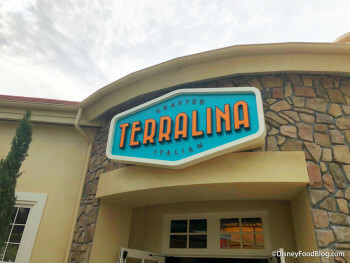 But Chef Tony Mantuano — James Beard Award Winner — has returned to create Terralina’s menu, and is joined once more by Chef Justin Plank who runs the kitchen. The result of the space’s multi-million-dollar refurbishment is “reminiscent of an Italian home” inspired by Italy’s Lake District, and features an open kitchen as well as an outdoor veranda bar. Terralina Crafted Italian serves both lunch and dinner.